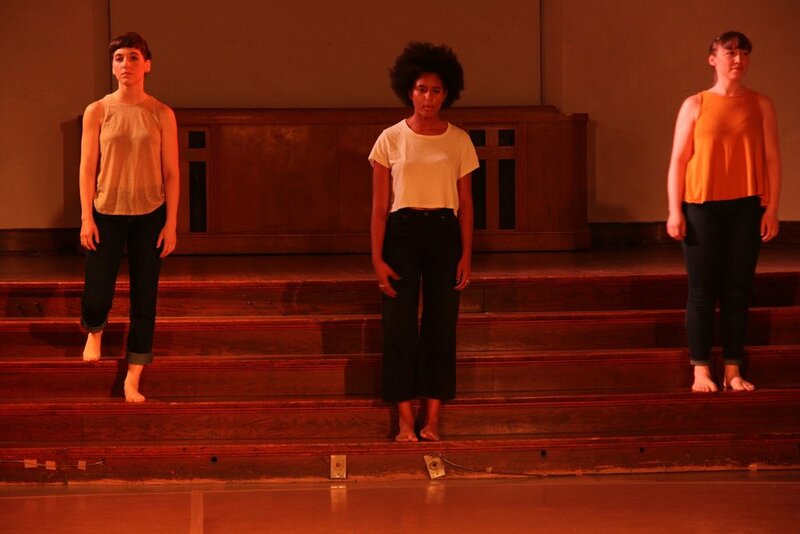 BODY PASSAGES is a collaborative project between Chicago Danztheatre Ensemble (CDE) and Poetry Center of Chicago (PCC). The Body Passages Series presents an evening of poetry, dance and in-process showings at Uncommon Ground Edgewater. The Body Passages Series originally premiered at Uncommon Ground Edgewater August 2017. Founded by Chicago Danztheatre Ensemble and Poetry Center of Chicago, Body Passages is not only a performance series, but an incubation space. CDE and PCC pair professional dancers and poets to create their own artist-led projects fusing language and movement. Groups benefit from meeting every month to share their process, conceptual trajectories, and what they’re working on outside of Body Passages that is feeding their research. This year’s collaborations are sustained around the theme of activation. We develop a language for poetry and dance that is specific to our space, and is part of what makes this experience so unique. This presentation at Uncommon Ground Edgewater of The Body Passages Series is part of 10-month long program for participating artists. The final culmination of these collaborations takes place in October 2018. October’s performances present each group’s final collaborative development around the theme of “activation.” In addition to the evening’s performances, audience members will have the opportunity to engage and share in the dialogue in an interactive gallery space. Follow Body Passages on Instagram @bodypassages and join the conversation!